Thanks to the iconic Baseball Hall of Fame, spring and summer are the peak travel seasons here in Cooperstown, N.Y. Winter, on the other hand, is perhaps our best-kept secret. As the snow falls, a hush seems to settle over the town, creating a welcoming winter wonderland. Here are the top three reasons you should book a corporate event at the Otesaga Resort Hotel in the winter. In the lull between baseball’s seasonal tourism, Cooperstown transforms from a bustling vacation hub to a quaint, lakeside town in upstate New York. Attendees may feel as though they have stepped back in time at our historic resort hotel where we are committed to the timelessness of world-class hospitality, no matter the season. 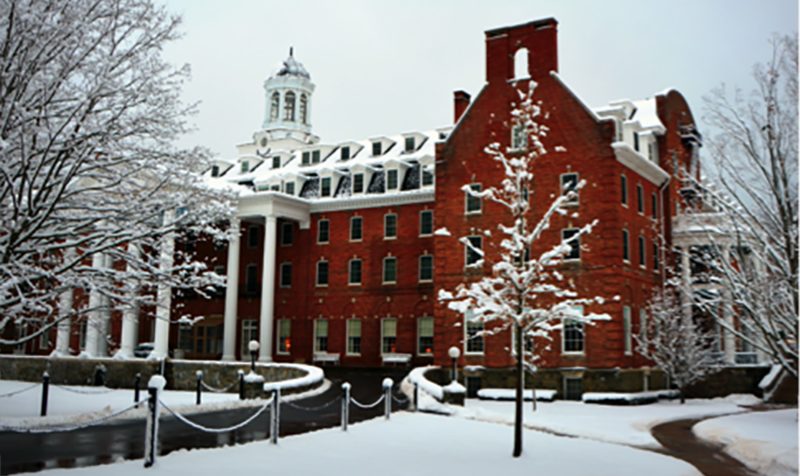 The peace and quiet of Cooperstown in the winter can also make it easier for attendees to stay focused and engaged throughout your event as distractions are minimal. Professional meeting planners know that summer is not peak meeting time. It’s peak vacation time. Unless your event is very small, there’s a good chance that many of your attendees will have scheduling conflicts during the summer. As a result, many corporate events and meetings are planned for the fall and spring. So many, in fact, that large conferences within the same industry often conflict with one another. During the winter, however, schedule conflicts are minimized not just for attendees, but for speakers, as well. Well known, popular keynote speakers, in particular, may have more availability. Upstate New York is undeniably beautiful in the winter months. At the Otesaga Resort, guests are treated to stunning views of the lake amidst snow-covered shores. Many of our meeting rooms feature large windows, providing a picturesque backdrop of natural beauty for meetings, workshops and receptions. Set your event apart from the start by scheduling it during the winter at the Otesaga Resort Hotel. With elegant, fully equipped meeting venues, delectable on-site dining and a dedicated team of meeting professionals, we are committed to helping you make your next corporate event extraordinary. For more information, or to submit a Meetings RFP, contact us today.